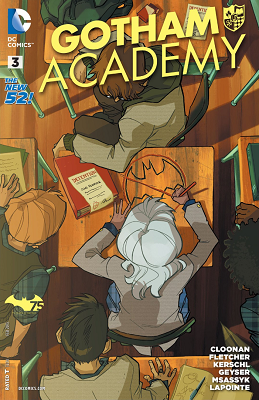 It's been awhile since we looked at Gotham Academy, so... let's catch up with it! 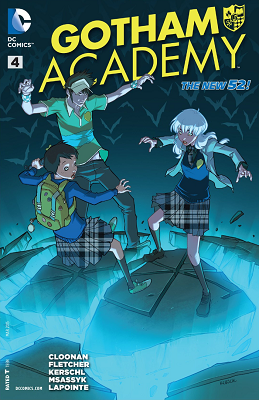 When last we left our cartographic heroine, she was forming a club to protect the school from the various evils that seem to pop up all the time in Gotham. 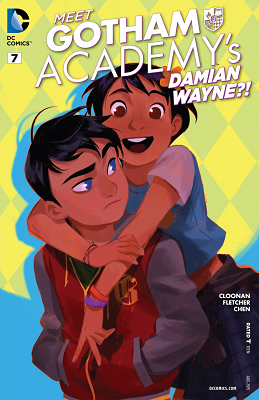 Also, Damian Wayne enrolled in the school. 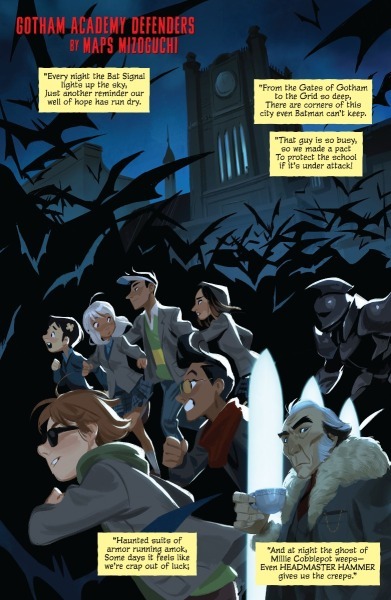 When last we left our ghost-hunting heroine, she and her crack commando squad classmates broke into the haunted North Hall, where a hand grabbed Olive's arm. When last we left our somewhat amnesiac heroine, she snuck out of the dorms in the middle of the night, damaged a rare, antique library book, and set fire to a shrine in the cemetery. 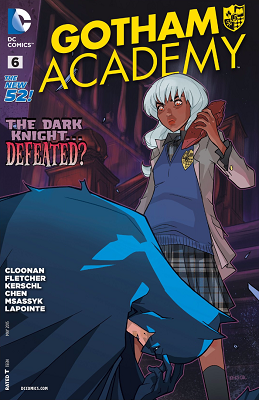 When last we left our silver-locked heroine, she was trying to grapple with some mysterious life-altering event that happened over the summer, while working on maintaining her relationship with her (ex-?) boyfriend's little sister. 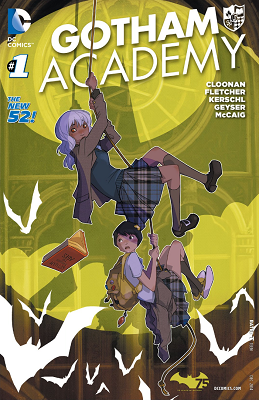 MTV have been given first look at these character bios for the cast of the forthcoming "Gotham Academy" series. Anybody who is anybody will be following the announcements for new books coming out at Image soon. 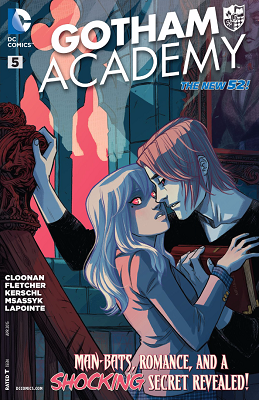 Books like Top Cow's Think Tank, a four issue miniseries about a scientific researcher, a third Phonogram series, Tony Harris drawing a 1930's Noir, Gangster, horror story! 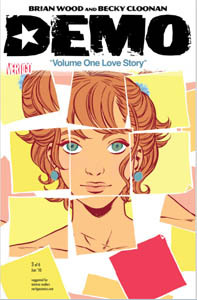 !, 2 books from Jonathan Hickman, another Jonathan Ross pwoject (this time with Bryan Hitch), the bizarrely controversial BKV return to comics, Saga, and Mara by Brian Wood and Ming Doyle. The world of MARA is a war-and-fitness obsessed future, where the angst and insecurity of average citizens is compensated with an extreme focus on sports and battle. Mara Prince is a superbly gifted athlete, playing in a women's volleyball league, and is as famous as you can imagine, with endless endorsements, comped everything, and millions of screaming teenage fans. Until one day, during a highly visible match, she starts to manifest superpowers. For a culture that prizes physical achievement, conformity, and fair-minded sportsmanship, this puts Mara's entire world at risk. 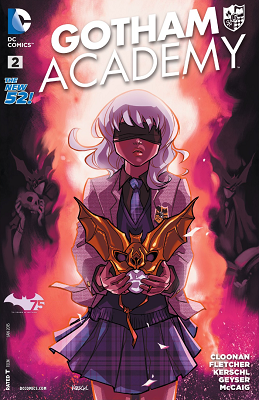 Mara is about superpowers like Demo is about superpowers. 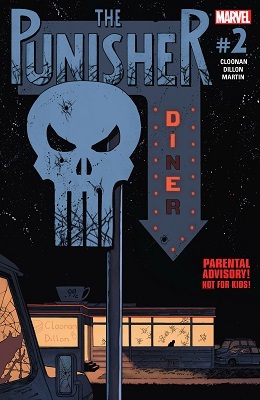 It's the middle of August, and that means the solicits for November are beginning to pop up. 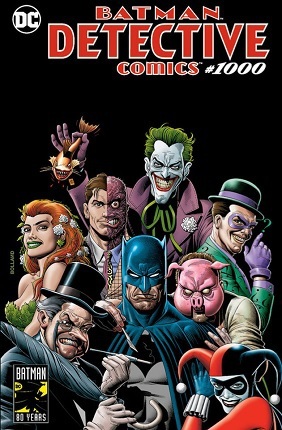 Newsarama has solicits for two of their most popular villains.